In a bid to discourage discriminatory hiring practices, and to ensure that Singaporean professionals are considered fairly for skilled positions, Singapore’s Ministry of Manpower (MOM) has this week announced the enforcement of the Fair Consideration Framework (FCF). In gist, the Framework seeks to ensure that companies that wish to do business in the citystate must consider Singaporeans fairly before employing foreigners for skilled positions. This is according to the announcement “Firms to Consider Singaporeans Fairly for Jobs” on Monday. 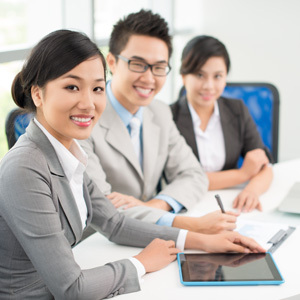 Singapore work visa specialist Rikvin recognizes that this a follow up to the issues raised at the Committee of Supply Parliamentary Debate in March this year, and an attempt to rebalance the playing field for Singaporean professionals. This system will inevitably reveal whether there truly is a shortage of talent that companies require or dispel the myth that there really is no such talent available within Singapore. Singaporean PMEs who are looking for jobs will be able to tap this jobs bank and the authorities can also respond more effectively or design better training and educational programs to meet industrial demands. With effect from 1 January 2017, the qualifying monthly salary for Employment Pass applications will be bumped up to S$3,600, from S$3,300. This applies to young applicants who have graduated from good educational institutions. Older applicants will be required to command higher salaries that are commensurate with their work experience. The FCF will be rolled out to achieve two strategic thrusts. Firstly, it is to ensure that more companies consider Singaporeans for skilled positions based on their merit. It also seeks to ensure that job matching process is made easier for Singaporean job seekers as well as employers. Hence, by 1 August 2014, Singapore companies must advertise job vacancies for PME (professional, managerial and executive) positions for at least 14 calendar days before seeking candidates from overseas and submitting new Employment Pass applications. The vacancies must be for jobs that pay less than S$12,000 a month and be advertised on a jobs bank managed by the Singapore Workforce Development Agency. This then gives employers access to a database of local candidates who are actively seeking jobs, and vice versa, increase the visibility of available jobs to job seekers. The second thrust is to apply a system of checks and balances on firms which may have been practicing questionable hiring policies. By Q1 2014, MOM and other government agencies will identify firms for additional scrutiny if there are repeated complaints of nationality based or discriminatory HR practices. Firms will also be audited based on their hiring and career development processes. If they demonstrate a disproportionately low concentration of Singaporeans at the PME level compared to other firms in the same industry and do not adopt the hiring norms recommended by FCF , MOM may curtail their work pass privileges. “Altogether we see that this will create a win-win situation for all stakeholders. We hope that this framework will also take errant employers to task and level the playing field for Singaporean PMEs,” Mr. Bakhda affirmed.